Discover the Royal College of Physicians' (RCP's) 500-year-old collection of artifacts and artwork at our Regent's Park HQ. award-winning exhibitions and events highlight treasures from the historical collections. Leonard Sowerby, The Ladies Dispensatory (1652), and an apothecary jar c. 18th century. Photography by John Chase, copyright Royal College of Physicians. The RCP's museum and gardens are open to the public Monday–Friday, 9am–5pm. We are not open at the weekend. From 1 February until 15 March 2019, Under the skin: illustrating the human body will explore the artistry and innovation of anatomical illustration from the medieval world to the present day. The exhibition is free and will be open Monday–Friday, 9am–5pm. On the first Thursday of the month (except August) we are open until 8pm. The RCP is closed on public bank holidays. 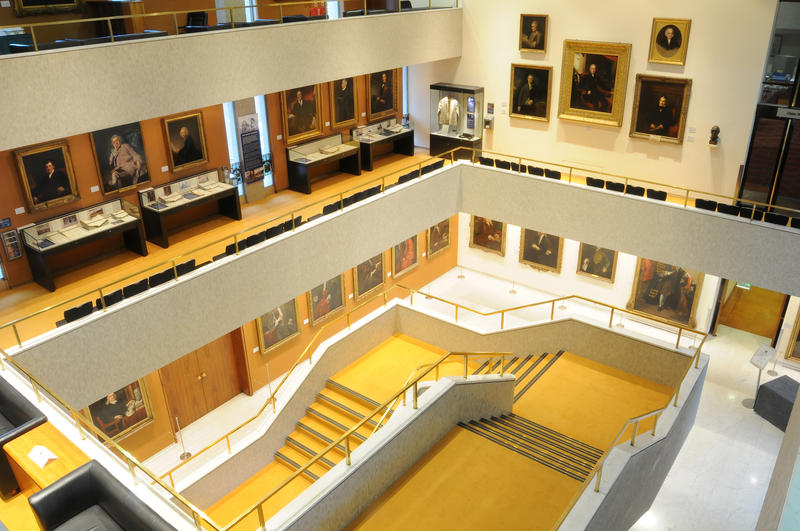 For all museum information and enquiries, please phone +44 (0)20 3075 1510 or email history@rcplondon.ac.uk. If you would rather discuss visiting arrangements with staff at the RCP please contact us via email at reception@rcplondon.ac.uk, or by telephone on +44 (0)20 3075 1363. A life drawing class held at the RCP museum in London. Take a guided tour of the Royal College of Physicians and discover 500 years of history, art and medicine, our acclaimed Grade I listed building, and our medicinal garden. We run a series of public events at the museum for all ages including exhibition openings, talks, lectures and workshops throughout the year inspired by the RCP museum collections, history and architecture.